Porcini Mushroom and Truffle Sauce 100g 12 pcs. Eataly invites you to try a unique combination: tasty porcini mushrooms and the unmistakable taste of white truffle! 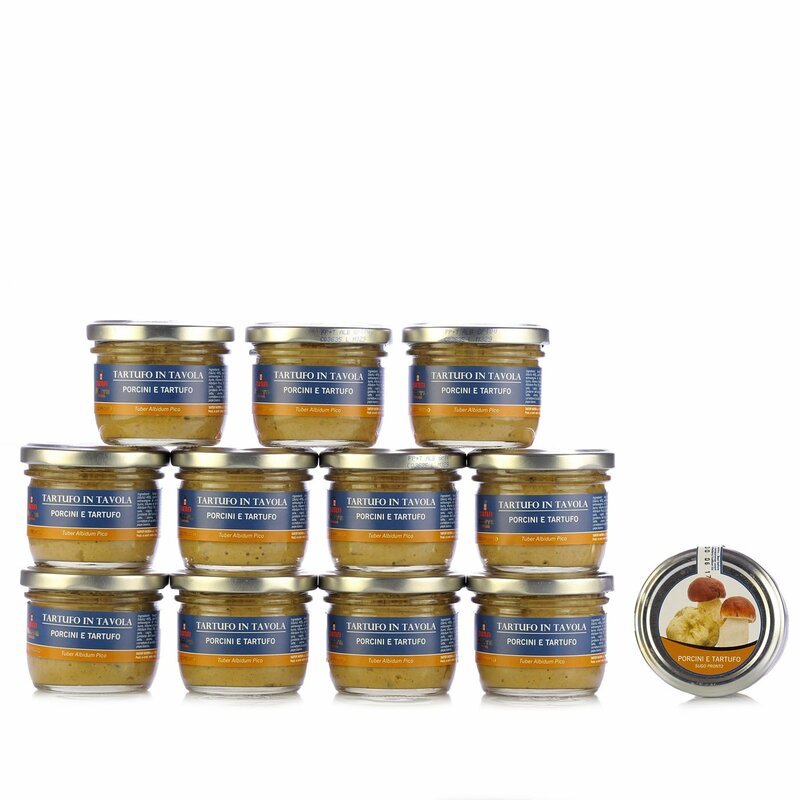 This elegant condiment from Tartufi Morra only contains extremely high quality ingredients: flavourful porcini mushrooms represent 46% of the mix, which is combined with fresh cream, water, extra virgin olive oil, butter and refined minced white truffles, with a touch of grana padano. Thanks to Eataly, you can enjoy this taste sensation whenever you like, by choosing the pack of 12 jars that means you will save while gastronomic excellence is delivered to your door. Try this sauce with the classic Piedmontese tajarin or your favourite artisanal pasta. Ingredients 65678:Steinpilze (Boletus Edulis) 46%, frische Sahne, Wasser, extra natives Olivenöl, Maisstärke,Butter, weiße Trüffelkrümel (Tuber Albidum Pico) 3%, Grana Padano Hartkäse (Milch, Salz, Lab, Lysozym [Eiprotein]), Salz, Eiproteine, Aromen, Petersilie, Knoblauch, Säureregulator: Zitronensäure (E330), weißer Pfeffer. Enthält Milch und Milchprodukte.